The Golden State is making history this summer by breaking ground on the United States’ first high-speed rail (HSR) line. The new line, which is slated for completion in 2029, will zip passengers from San Francisco to Los Angeles in under three hours on clean electrified trains traveling at speeds up to 220 miles per hour. The California High-Speed Rail Authority (CHSRA) got the greenlight in June to begin building the first 65-mile stretch between the Central Valley cities of Fresno and Merced. Besides revitalizing second-tier cities and improving quality of life for the seven million residents of the Central Valley, HSR construction is expected to create 20,000 jobs annually over the next five years. As of May, Fresno’s unemployment rate was 13 percent and Merced’s unemployment rate was 14.9 percent compared to 8.6 percent overall in California and 7.6 percent nationally. HSR will have the added benefits of addressing air pollution and climate change by reducing greenhouse gas emissions. CHSRA released a report in early July stating that construction of the project will emit zero carbon emissions as the C02 will be offset by a tree planting program. The system will run entirely on clean energy—20 percent solar, 30 percent wind, 45 percent geothermal and five percent biogas. 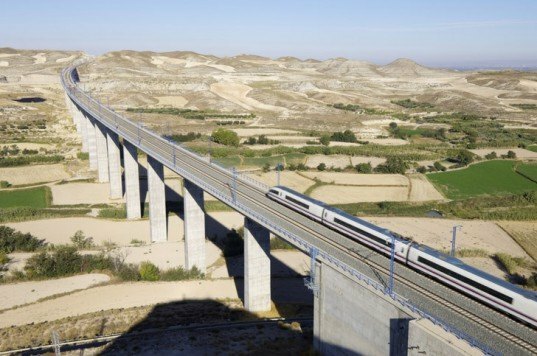 With only $10 billion of the $68 billion needed to complete the bullet train system secured, California Governor Jerry Brown traveled to China last April to ride the newest and largest high-speed rail system in the world and court potential investors. 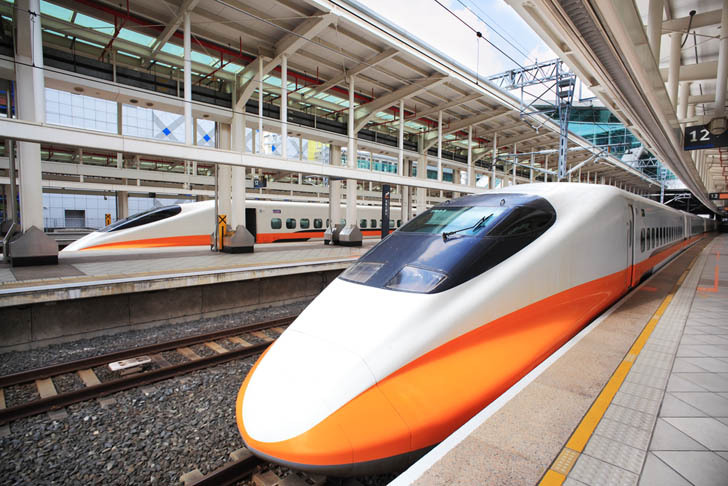 If the Chinese and other foreign investors get on board with California’s bullet train project, the construction timetable may be sped up. Since 2007, China has built more than 5,000 miles of HSR track with nearly 9,000 miles under construction. I disagree with the high speed rail because it will destroy property, will cost 68 billion dollars and we only have 10 billion dollars, it will take 16 years to build, it is empty without any numbers to prove the plan is worth supporting, and it will cost CSU students 2,000 dollars each. About time. How about we utilize the center of every interstate in the country for high speed rail? Where are they going to get the electricity to run this thing? They just got done shuting down San Onofre. The only way high speed rail works is if you have extremely cheap electricity. Preferably excess generation capacity. Something California doesn't have these days. AZ and NV power companies must be breaking out the champagne. Russia is building a rail line to Alaska which has reached Yakutsk. The tunnel will begin at Uelen, Chukota peninsula Siberia and cross the Big and Little Diomede Islands to Wales, Alaska in two 40km and one 25km segments and then 500 miles of rail must be laid to reach Canadian rail which will enable freight and passenger rail traffic from Scotland to Argentina once rail is built in the Darien Gap in Colombia. Hopefully this solution will be a relief from those individuals suffering from smog in California. I've never experienced it, but I can't imagine! Perfect. The Meth-Express. What a waste!!! Worst plan for CA ever!!! What a waste of financial resources. Jerry Brown should be kicked out of office for ever suggesting this. Where is the water for Ag!!!? CA does not need a Bullet Train!!! Idiots running our state government lining their own pockets with this pork-project. So sad! Protest this ground breaking if you have the chance! Crap!! Such crap!!! Building it doesn't mean they will come. Have they even done a survey on the potential number of people that may use it? And if it cost less to drive than take a train...guess what. Me. I'm in favor of trains after going through the brown shirts of the Homeland Security and the time it now takes to fly over short distances which is enormous. Trains are a pleasure to ride in, airplanes not so anymore. This is fantastic...220 mph could end up being the new "commute" with city workers able to live in low cost rural towns, and combine telecommuting with high speed "transit". Marissa Meyers of Yahoo will be proven WRONG!